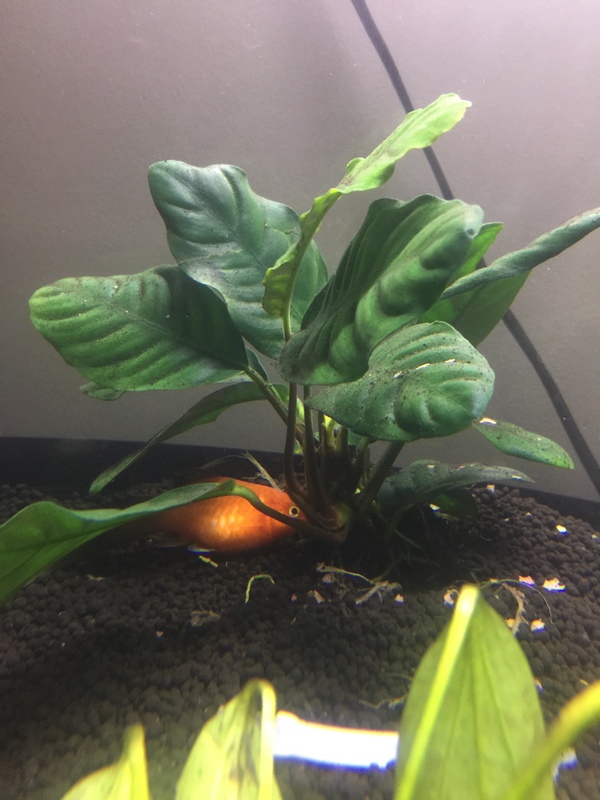 Can you please tell me what you have done to the tank in the last few days before this started …..as you have said that you have changed the substrate back to what it was ? To me it looks like you may have upset the water chemistry because the beneficial bacteria that convert ammonia to relatively harmless nitrates live in the substrate and filters you have in the tank.....this in turn could weakened the fish immune system which in turn will cause stress and white spot. Do you have water moment ….any oxygen going into the tank using a air line and air stone ? 60% water change is to much.... chlorine in the water could burn them....10% at a time should be enough. I agree with gary 60% it to much, were the fish ok before you did a water change? I know you said you added the salt twice but how much salt did you add ? So as suggested to me today i have started there first treatment of melifix for bacterial infections, doing research alot of people are saying it wont actually cure disease that is already there and also that it is a waste of time. Should i continue to use it for 7 days as the bottle says? Or not? Also the fish that was displaying the signs of swim bladder but was fine yesterday, today he is starting to float around the tank again so im a bit worried, I initially thought as they didnt eat for 3 days due to sickness that he had been a bit of a piggy on thurs evening when they did eat but as he was fine yesterday i fed them the smallest ammount of food which they werent really interested in.... should i switch feeding to once every 2 days until he is swimming as normal? I will try to feed them de shelled peas again as i have in past but they NEVER eat it!! 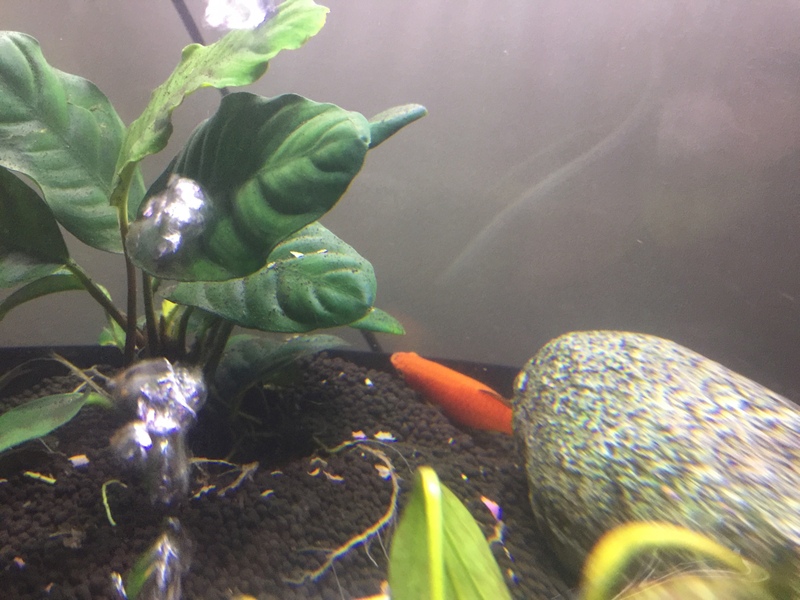 On a more positive note the white spots from the mollies seems to have disappeared apart from a slight shading on one of the molly fish but they wont stay still long enough for me to take a photo 藍 have attatched photos of the fish struggling to swim so let me know what you think!!!! First pic where he is literally vertical was thurs evening and the ones IMG_8119.jpgIMG_8122.jpg4bc7a2f1-eb9f-4e06-ae8b-3828d5344bb6.jpgIMG_7912.jpgwhere he is at an angle was taken a moment ago! Also threw in a couple of photos of roger, one a week or so after we got him and one taken about a month ago!!!! Love him so much!!!! To be honest I would stop using the melifix as I too think it is a waste of time. It sounds like you are now getting back on top of things. Please stop using bottled water as you don't know what is in it. You should fed them every single day but not to much, try feeding your mollies some live food as they will love this and will get them moving around and change the food you give them from day to day like brine shrimp, bloodworms and daphnia and tropical flakes. 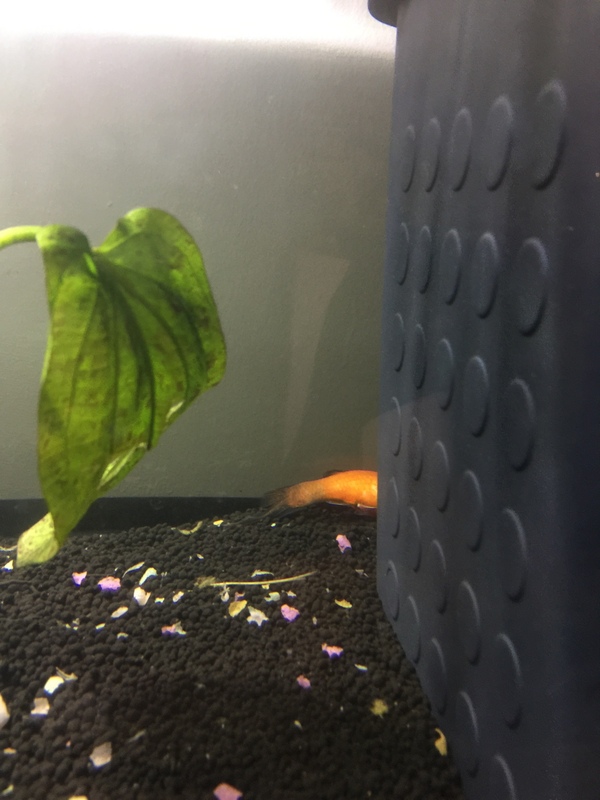 just do a 10% water change every few days and don't use bottled water, let the tap water stand for 24 hours so that the chlorine burns off, hopefully things will get better. 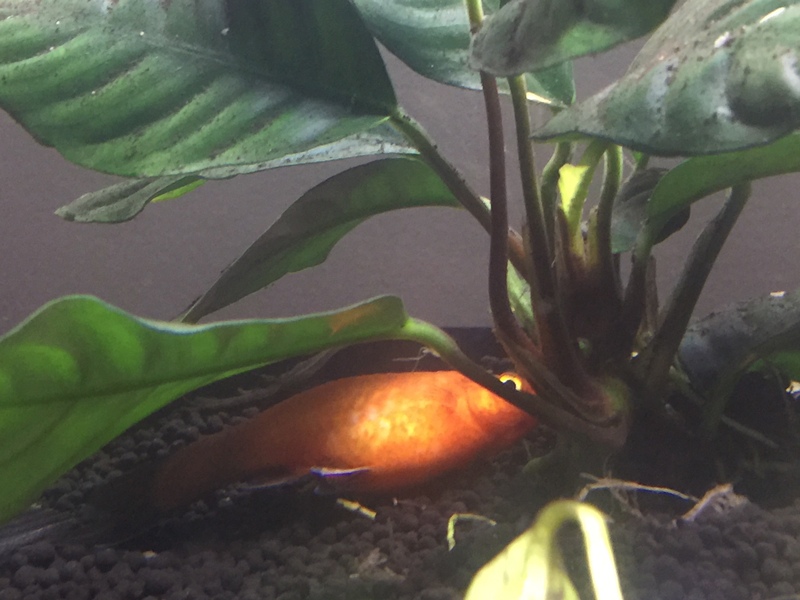 How are your other fish doing?